The deep woodsy scent of trees after a Mediterranean rainstorm, sweetening as the sun warms the refreshed earth. That’s one image that comes to mind when I close my eyes and inhale the aroma of mastic essential oil Pistacia lentiscus var. Chia. 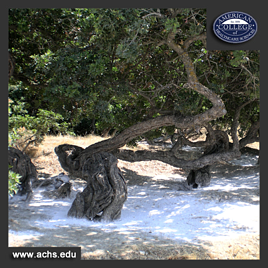 I’ve long enjoyed working with mastic in clinical aromatherapy—so much so, that I traveled to the Greek island of Chios in 2009 to learn as much as I could about the antimicrobial mastic gum. I recently wrote an account of my Mediterranean mission that appeared in the International Journal of Professional Holistic Aromatherapy (IJPHA) published in the Winter 2013 issue (2.3). It was quite the adventure, which is why I’d like to share with you the top 5 reasons why I love mastic! And if you “Share” this blog post during the month of January by going to our Facebook page and clicking "Like" and "Share" on this post, you could win a FREE 5ml bottle of Mastic Essential Oil! The drawing will be held February 3, 2014! 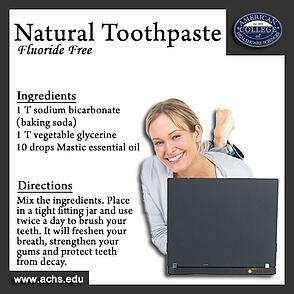 Looking for that perfect natural alternative to generic toothpaste? 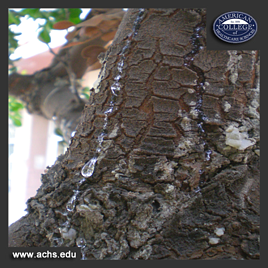 Mastic is a natural antimicrobial, and a 2012 study showed a decrease in tooth plaque and mouth odor. This makes mastic an ideal ingredient for all-natural dental hygiene products and even chewing gum! Try these recipes and see for yourself! Be sure to tell me how you liked them in the comments! Mix the baking soda and vegetable glycerine well and add the essential oil. Put the mixture in a tight-fitting jar and brush your teeth with it twice a day. It will freshen your breath, strengthen your gums, and help protect teeth from decay. Mix the ingredients well and use to rinse your mouth after meals or after brushing your teeth. Do not swallow. The fluoride in the green tea, combined with the Chios mastic essential oil's antibacterial action, strengthen the gums, help prevent tooth decay, and leave your breath fresh and fragrant. All right, all right, you can stop blushing now. But did you know that during the occupation of Chios by the Ottoman Turks in 1822, a rebellion led to a terrible massacre of 30,000 people; the mastic villages were spared because mastic gum was so valuable for Turkey. The women in the sultan’s harem were supposedly chronic users of mastic because it was known as an aphrodisiac. It is said that the Turkish sultan ordered bread baked with mastic gum powder specifically for a… ah-hem… “visit” from his lovely harem! A 2010 study decided to test this ancient medicinal theory of mastic as an aphrodisiac. The study assessed the zinc levels in Chios mastic gum compared to other sources, and according to the results, there were higher levels of zinc in the mastic gum sourced from Chios. Zinc can enhance prostate function, so it looks like the Turkish sultan may have been right! Mastic is a buddy for your belly! The same 2012 study that showed mastic gum and oil to have an effect against mouth odor and tooth plaque also showed that it can work against the fungi and bacteria that cause peptic ulcers. It was also shown to improve symptoms of autoimmune diseases like Crohn’s disease! Do you love ouzo, the national drink of Greece? It is traditionally flavored with anise. However, since mastic adds a nice sweet and robust flavor to this spirit, there are five ouzo factories on the island of Chios making mastic-flavored ouzo! Opa! A number of studies have shown that Mastic’s anti-cancer agent packs a strong punch. A 2009 study looked at the ability of mastic oil to fight lung cancer cells, and even concluded that mastic oil could inhibit tumor growth. Mastic oil could also potentially be a preventative and a potential aid in a wellness protocol for preventing androgen-insensitive prostate cancers. There was also strong evidence from a study in 2011 showing that mastic is a free-radical scavenger and viable antioxidant. With all the evidence, mastic seems pretty miraculous! If you enjoyed these 5 reasons, feel free to read the full version of my recent article, “Mastic: An Aromatic Journey in the Eastern Mediterranean,” in the International Journal of Professional Holistic Aromatherapy (IJPHA) 2.3! Interested in learning more about essential oils, herbs, and holistic health? Click for more information about the American College of Healthcare Sciences accredited online programs in holistic health and wellness! What is your favorite thing about mastic? Tell me in the comments below! Moulos, P., Papadodima, O., Chatziioannou, A., Loutrari, H., Roussos, C., & Kolisis, F.N. (2009). A transcriptomic computational analysis of mastic oil-treated Lewis lung carcinomas reveals molecular mechanisms targeting tumor cell growth and survival. BMC Med Genomics, 15(2): 68. Triantafyllou, A., Bikineyeva, A., Dikalova, A., Nazarewicz, R., Lerakis, S., & Dikalov, S. (2011). Anti-inflammatory activity of Chios mastic gum is associated with inhibition of TNF-alpha induced oxidative stress. Nutr J., 6(10):64. Dimas, K.S., Pantazis, P., & Ramanujam, R. (2012). Review: Chios mastic gum: a plant-produced resin exhibiting numerous diverse pharmaceutical and biomedical properties. In Vivo, 26(5):777-85. Sawidis, T., Yurukova, L., & Askitis, T. (2010). Chios mastic, a natural supplement for zinc to enhance male sexuality and prostate function. Pharm Biol., 48(1):48-54.